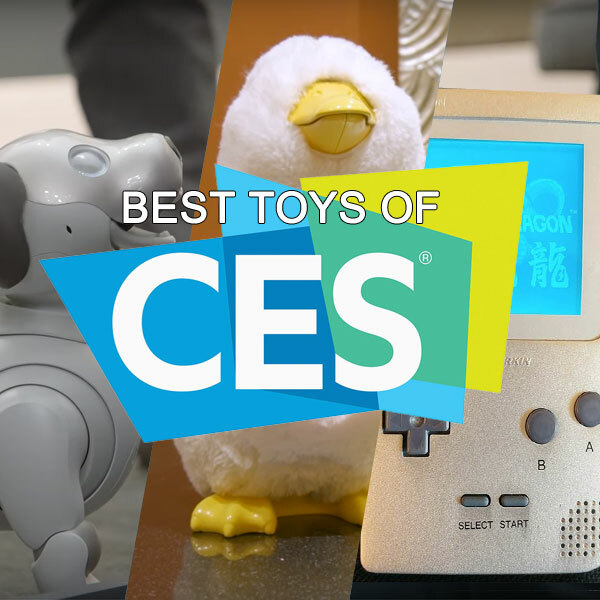 Discover the best toys of CES 2018! CES 2018, a.k.a the Consumer Electronics Show, had on display some of the coolest new tech and gadgets under one roof at the Las Vegas Convention Center. Amidst all the cool gadgets that left us drooling, there were also a handful of buzz-worthy toys on display at the show. Without further ado, let’s take a look at some of the highlights from the show. AIBO, the adorably cute robo-pup from Sony, is officially back! The new and improved AIBO is smarter, cuter, and more pettable than ever. This is no ordinary robot – it features artificial intelligence (AI) and camera vision with OLED eyes to recognize who it’s looking at and where it is going. The most amazing part is that AIBO is very relatable and lovable, unlike many other robots. It’s like a living Pixar robot brought to life and it’s ready to be your child’s favorite companion. AIBO is fully animated and reacts to your touch and even learns the more you play with it. Presently, he is only available in Japan; however, we hope this cutie makes his way to other parts of the world. If AIBO ever sees the light of day in the States, it won’t come cheap – reportedly, it will cost in the neighborhood of $1,800. The My Special Aflac Duck is something nobody expected to see at CES 2018, but it’s fantastic to see something so heartwarming. It’s actually a cool smart social robot developed by Aflac and Sproutel for kids with cancer. It was designed specifically to help them cope with their cancer treatment journey. The Aflac Duck features a host of sensors and reacts to your touch. It has a built-in microphone and light sensor that understands the environment and adjusts behaviors of the duck accordingly. The feelings card accessories allow the duck to express a range of emotions from happy to sad to mad and more. Kids can even give the duck chemo and a companion app allows for AR interaction, allowing kids to bathe and feed the duck among a host of other actions. The soundscape plays calming sounds. Reportedly, Aflac will be donating these ducks to children diagnosed with cancer in the Winter of 2018 and 2019. Presently, there are no plans to sell the duck to consumers. A new prototype from Hyperkin called the Ultra GB reimagines Nintendo’s original Gameboy for a new generation of kids in 2018. It’s identical to the Gameboy Pocket you may remember many years ago and it even plays original Gameboy carts. Now it features an aluminum case with new upgrades – on the audio and video fronts. What’s cool is that it looks and feels like a Gameboy. While the controls and design remain intact, the audio is where the new Gameboy gets a noticable upgrade. The audio will feature both left and right stereo sound with a built-in amp. The final hardware is expected to feature USB-C for charging and an RGB scroll wheel for the display. This allows you to return to that yellowish-green look of the original you may remember from your childhood. More details are expected to be revealed at E3 2018, where a production model will make its debut. Pricing and availability will be announced sometime later this year. Hyperkin plans to deliver the Ultra Gameboy for under $100 when it launches. Ever dreamt of building your own tablet? MakePi’s new Make Pad DIY Raspberry Pi-powered tablet is designed for kids and allows kids to do just that. Assembling this DIY tablet is very much like constructing LEGO blocks with different components included. It’s designed to be simple and straightforward. The tablet features a 10.1-inch display, Raspberry Pi chip, speaker, battery pack and everything necessary to build a functional tablet. Now how cool is that?! What’s cool is that the cables are color-coded, facilitating assembly for kids. It even features its own OS called MakeOS that runs various apps. The tablet is geared toward children ages 5 and older. The idea behind this DIY tablet is to get kids comfortable building things for themselves. On Kickstarter, the Make Pad will cost $269. Merge unveiled its new augmented reality (AR) blaster, the Merge 6DoF, at CES. Surprisingly, it was actually pretty cool without the need for any special AR glasses. 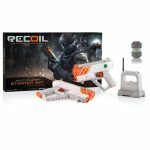 It delivers a next-generation laser tag experience for kids who want to have fun in the backyard or just about anywhere. The blaster itself looks pretty cool and has a mount for your phone. You get six degrees of freedom, allowing you to walk around, duck, and aim with relative ease, hence the name 6DoF. To get the full experience, you’ll need a smartphone. This is not the first AR laser tag blaster on the market; in fact, last year we had Skyrocket RECOIL. 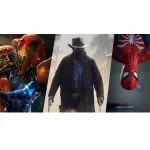 The demo at CES 2018 was really impressive – allowing you to duck and dive through areas, shoot snipers, and it even featured immersive force feedback. It has us so excited that we can’t wait to get our hands on it when it officially launches. Another cool tidbit is that Merge plans to keep the hardware open to developers for creating a variety of games and apps for players to experience. 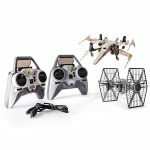 The Tello is an inexpensive $99 mini drone created by Ryze Robotics in partnership with Intel and DJI that is easy to fly. It was one of the best drones featured at CES. The drone even features 720p video capture without the huge price tag. A cool feature is that kids can program it using the Scratch programming language developed by MIT. Want to make brushing fun for kids? The Kolibree Magik Smart Toothbrush is a high-tech toothbrush employing augmented reality technology to make brushing your teeth so much more fun. Using a companion smartphone app, kids play a game – fighting an evil monster – while brushing their teeth. It’s a win-win and those cavities don’t stand a chance! Available later this year the smart AR toothbrush will retail for under $30. Looking for a new baby monitor? There’s a cute new option in town called the Netgear Arlo Baby Smart HD Monitor. The baby monitors can be accessorized with a number of cute accessories like a cat, dog, or rabbit suit. Parents can ask Siri to show them the nursery, and they’ll receive a 1080P high definition video stream to keep an eye on baby from anywhere. The baby camera will be HomeKit compatible for Apple fans. What’s cool is you can even see your baby in the dark with night vision support and you can even receive motion and sound alerts. The Arlo Baby Camera is available now and will retail for $249.99. Razor Turbo Jetts are new motorized wheels for your heels. What’s cool? They can reach up to 10 miles per hour. One of the Turbo Jetts is motorized while the other is not. The battery is removable and you get about 30 minutes of use on a single charge. The Turbo Jetts feature an adjustable strap, comfortably fitting youth 12 to adult 12 shoes. What’s great is that it fits almost any shoe. The Turbo Jetts arrive in stores this February for $130. 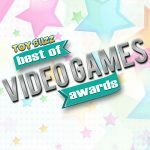 Beginning in February, the Turbo Jetts will be sold at Toys ‘R’ Us with wider expansion planned sometime thereafter. A new Boosted Board Electric Skateboard was unveiled at CES 2018. This is an electric powered skateboard with a 7-mile range and it can reach maximum speeds of 22 miles per hour. Teens will be eager to take this new electric skateboard for a spin. The Smacircle S1 is an e-Bike that folds and easily fits in your backpack. Now how’s that for the ultimate in portability?! It’s the world’s most compact and lightweight e-bike that makes transportation easier and the company was honored with awards at CES 2018 for Innovative Design. Featuring a sleek carbon fiber design, it gets you to your destination in style. It reaches speeds of 12 miles per hour and the throttle allows you to control the speed of the scooter. It travels roughly 12 miles on a single charge. It’s a novel idea and perfect for saving time, energy, and space. Preorders are now being taken on IndieGogo. The Onewheel+ XR is an extreme sports ride-on meshing together a skateboard, balance board, and unicycle to create a unique experience. In case you’re wondering – the XR means Extended Range. In fact, you get double the distance, roughly 12 to 18 miles, on a single charge compared to previous models. The larger wheel allows riders to ride on pavement, dirt, or just about any type of terrain. Admittedly, there is a bit of a learning curve before you master riding the Onewheel+ XR but you can learn it in one sitting. The new battery delivers more power in addition to allowing it to cover greater distances. The Onewheel+ XR won’t come cheap – coming in at a whopping $1,799. Better start saving your allowance if you plan on getting one anytime soon. A company spokesperson stated this is a ‘viable form of urban transportation’. Coding toys are becoming increasingly more popular. Cue Robot seeks to introduce kids as young as 5 years old to the basic principles of coding. Kids can play, explore, and text together. 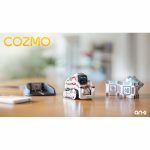 Chat, code, and share your world with a robot buddy all your own. There are two varieties of the Cue Robot – a white one and a black one. They feature a spherical shaped head with lights and it’s mounted on wheels. If it somewhat resembles Wonder Workshop’s Dash, it’s no surprise because it is from the same company. The Botley Coding Robot is a new STEM toy introduced at CES that seeks to teach kids ages 5 and older the basics of coding. Use the remote transmitter to code up to 80 steps for Botley. A 77-piece activity set encourages open-ended play and critical thinking. It looks like a cute robot on wheels with bright colors that will appeal to younger audiences. What’s cool is that the more you play with Botley, the more he can do. SeeMeez is a cool new hologram toy that allows kids to create all sorts of fun virtual characters by using their smartphones. What’s cool is that kids can even transform themselves into a hologram. SeeMeez will be available for sale beginning in the summer. And that’s a wrap! So what did you think about the Best Toys of CES 2018? Did we miss anything? Let us know in the comments below. We’d love to hear your thoughts!